Jade Upton, the Queensland regional finalist for the 2017 A&NZBBC. The Australian and New Zealand Brain Bee Challenge (A&NZBBC) is an annual competition for high school students in Year 10 (Australia) and Year 11 (New Zealand) that encourages learning about the brain. Throughout the competition, students learn about the brain, its functions and neuroscience research. They are introduced to careers in neuroscience and investigate the misconceptions about neurological and mental illnesses. Students participating in the competition gain access to current and accurate information on the latest advances in neuroscience research. They also develop an understanding of how neuroscience contributes to our community and improves the health of millions of people around the world. The competition often sparks an interest for students to pursue a career in neuroscience. All Year 10 students in Australia and Year 11 students in New Zealand are eligible to enter the competition. It runs through a series of rounds, with the Australian and New Zealand winners attending the International Brain Bee, which takes place at an international neuroscience/psychology conference the following year. The A&NZBBC started in 2006. In 2016, the ARC Centre of Excellence for Integrative Brain Function won the bid to host the A&NZBBC from 2017 to 2020. There are 4 rounds to the Australian and New Zealand Brain Bee Challenge. Students study through Education Perfect (Brain Bee lessons can be found here). Students then complete an online quiz to determine their knowledge and understanding of the structure and function of the brain. 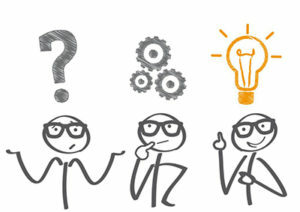 The online quiz is hosted on the Education Perfect testing platform. Round 1 will take place for the entire month of March in 2019, including during Brain Awareness Week (11-17 March 2019). Round 2 is the Regional Finals, held in each state/region in Australia and New Zealand. Students who achieve a high score in Round 1 are invited to attend a full day of activities at a university campus/research institution in their capital city. As well as participating in two rounds of live questioning to determine who will become the state/region champion, students also have a day filled with activities to educate them about neuroscience and associated research. This may include lab tours, demonstrations, lectures, experiments and the opportunity to speak to researchers. There is also a team competition on the day where schools compete against each other to win prizes for their school. 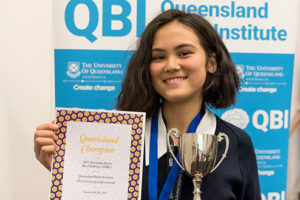 Round 3 is the National Final where eight Australian students and two New Zealand students compete against each other to become the Australian Brain Bee Challenge Champion, or the New Zealand Brain Bee Challenge Champion. Round 3 has been held annually since 2007 at the Australian Neuroscience Society (ANS) conference. Students compete in four challenges, held over two days including an anatomy challenge, a written short answer challenge, a patient diagnosis challenge and a live question and answer challenge. Students also have the opportunity to attend ANS scientific sessions and meet with scientists, researchers and students involved in neuroscience. Round 4 is the International Brain Bee (IBB). The IBB is held at an international neuroscience/psychology conference and in the past has been held in places such as America and Italy. In 2012 the IBB was in South Africa and was won by the Australian representative, from Brisbane, Teresa Tang. In 2013, the IBB was held in Vienna, Austria and was won by Australian representative, from Brisbane, Jackson Huang. Follow the Brain Bee Challenge on Facebook.